The impulse is all-too-human: you spot a leak you suspect is coming from your roof and you're eager to investigate. 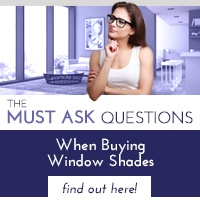 If you can't make a diagnosis from a second-floor window – without getting up on your roof – ask yourself: Am I really confident about doing this or should I call a roofing contractor to investigate instead? 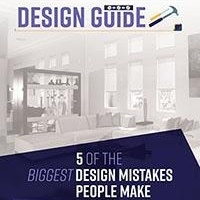 If your gut instinct says you're out of your element, heed that instinct and call a trusted and reliable roofing contractor who is trained, experienced and presumably very much in his element navigating the tricky terrain of a roof. Abstaining from climbing on your roof when it is raining or your roof is still wet from a recent rainstorm. Taking a cue from the weather. Avoid going up on your roof on windy or excessively hot days. A good rule of thumb: if you find the heat too oppressive as you stand outside on ground level, you might be overcome by it on your roof. Ensuring power lines do not come into contact with your roof. If they do, call a roofing contractor. Working with a partner, even if he or she remains at ground level. Having someone nearby in case of an accident could be a life-saving move. Wearing soft-soled shoes for optimal traction. Using a sturdy ladder and maintaining three points of contact at all times: either with both hands and one foot or two feet and one hand for stability. With your safety ensured, begin your search by tracing the leak you've spotted in your home to the roof area directly above it. This is a fine and logical place to start, but keep in mind that leaks travel. 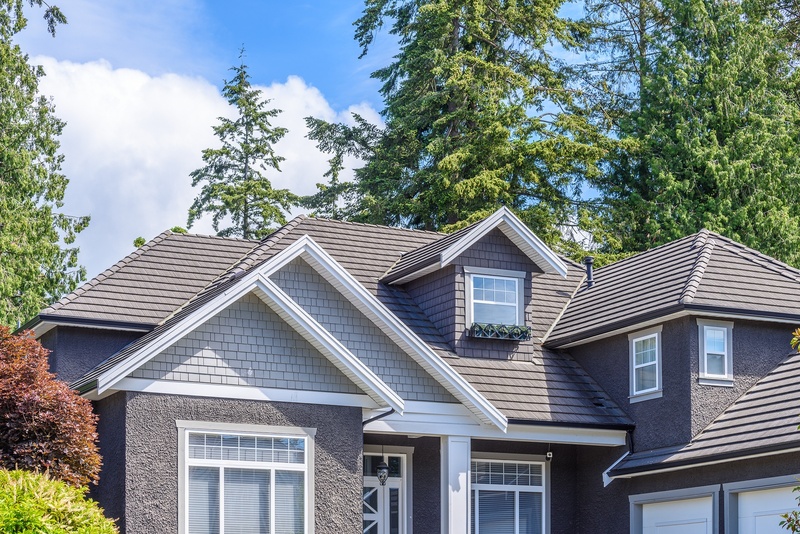 In other words, a leak spilling into your home on the east side could be caused by a defect on the west side of your roof. Gutters stuffed with leaves, twigs and dirt. When gutters overflow with water, it can spill through weak points in your roof and into your home. Dry rot, which most often occurs where gutters are attached to the roof and around skylights. Dry rot is caused by moisture and fungus buildup. Since it often hides, look for discolored or water-stained wood or wood that feels soft to the touch. If you find such a suspicious area, poke at the wood with a screwdriver. If the wood is decaying – if not downright mushy – it's most likely dry rot. Roof boots, which can spawn major leaks if they're in disrepair. Shingles and even the nails that secure them in place. While small in diameter, nail pops can cause major leaks. Valleys in your roof, where water can congregate and leak into your home. Finding roof leaks often is a process of elimination. But it's a worthwhile process since it's the first step toward making the necessary repairs. If your window treatments have been damaged from a leak in your roof make an appointment with a Polar Shades window expert today. 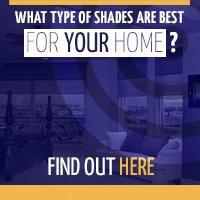 They provide a free in-home consultation and will work with you to get the best shades for you and your home. 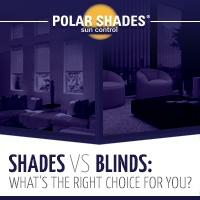 You can count on Polar Shades to transform a setback into an opportunity by calling 702-260-6110 today.